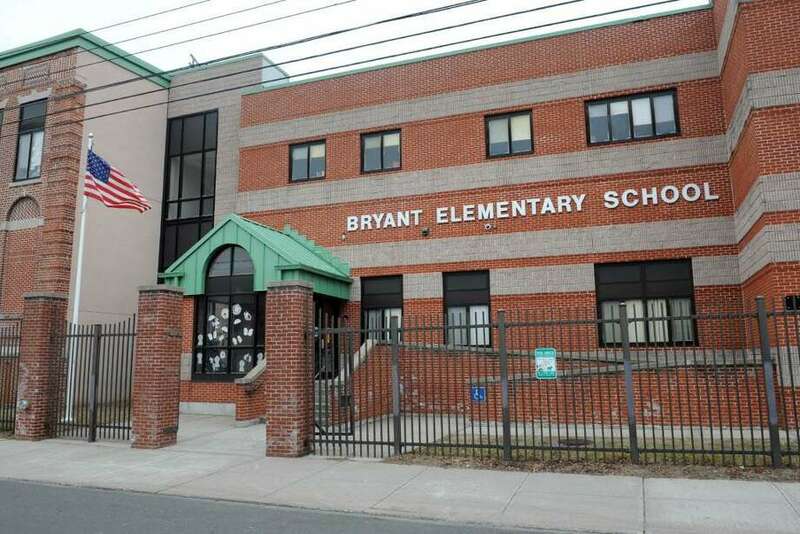 BRIDGEPORT — Bryant School is joining the district’s expanding circle of Turnaround Arts Schools, a designation that comes with an infusion of arts supplies, fresh ideas and a celebrity mentor. No one is saying yet who that mentor will be. So far, the district has been paired with the likes of baseball player turned musician Bernie Williams, designer Tracy Reese, architect Thom Mayne and others. Through the program, city students have been to the White House, New York City, and accompanied Williams in a music video. A new rendition of “Love Train” by the O’Jays, the video is meant to showcase the power of the arts in contributing to student success. Turnaround Arts schools generally see improvement in math and/or reading proficiency and attendance, and have fewer discipline issues after taking part in the program. Besides Roosevelt and Bryant, other Bridgeport schools participating are Barnum, Hall, Hallen and Tisdale. There are a number of nonprofit partners. Local support comes from Bridgeport Public Schools, Spread Music Now, Fairfield County Community Foundation, the Klein Memorial, and private donors. Bryant School will be one of 84 schools in 17 states and D.C. working with Turnaround Arts. So far, the program has impacted more than 56,000 students nationwide. Tisdale Principal Charmaine Worthy said the program has helped improve school culture and increase student engagement. The five Bridgeport schools already experienced in the program had extra teacher training and now put on spring musicals. Next year, Bryant School will do the same. Participating schools are competitively selected and must show need, strong school leadership and a commitment to arts education.